It is a traced product manufactured in certified factories. Repeat every three months or as necessary. The reaction of Saniblanc® D causes a sudden increase in pH which can typically reach a pH value of 12.5. At this level of pH, the environment is disinfected. 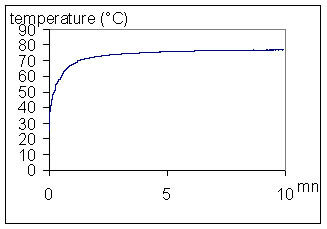 The reaction of Saniblanc D causes a sudden rise in temperature (>70°C only 2 minutes after hydration).